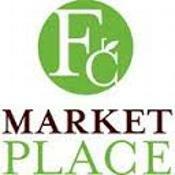 One of our long standing and most successful shopping fundraisers is provided annually by the Fruit Center Marketplace (locations in Hingham and Milton). 20% of your entire shopping purchase will be donated to SPS: there is no limit to how much and how many times you shop! This incredibly profitable opportunity runs from Monday, November 6th through Sunday, November 12th. Please download and use the following vouchers. Each voucher used for a purchase will also be entered as chance to win a $100 Fruit Center gift card.